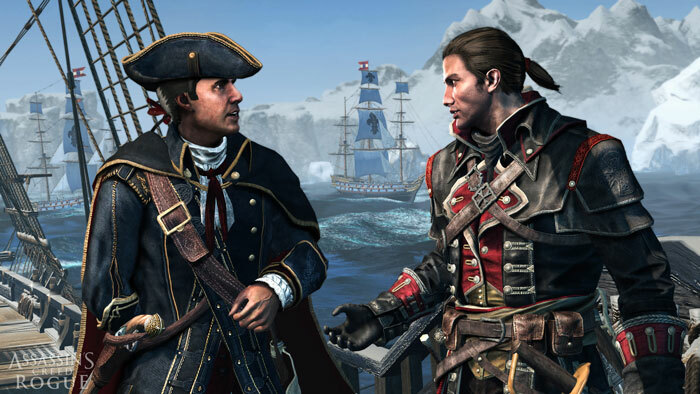 This post will contain spoilers for Assassin’s Creed Rogue, Unity, III, etc. Assassins’ Creed Rogue launched the exact same day as Assassin’s Creed Unity, received absolutely no press, and launched on “last-gen” consoles. Rogue’s fate was sealed before it even launched, and for whatever reason fell by the wayside as a game I had not even heard of — even as a major fan of the franchise — until just a few months ago. I’m glad I played because Rogue is easily one of the best in the entire series. You’ll recall from my Unity review that I felt like Ubisoft abandoned the fantastic (and horrifically complex) story they’ve been telling for so many years. Rogue doesn’t suffer from these issues. In fact, Rogue not only bridges entire series into a complete package that actually makes sense — it actually brings clarity to Unity’s story! You play as Shay Patrick Cormac, a novice to the Assassin order. After the Assassins keep making terrible decisions regarding the pieces of Eden and implementing an end justifies the means approach, Shay decides he has had enough and tries to put a stop to the needless bloodshed. He goes against the Assassins and ends up unknowingly joining the Templars as he seeks to help the British colonies defend themselves against the French. Ultimately he realizes he has more in common with the Templars, joins their ranks, and becomes instrumental in obliterating the Assassin Order in the colonies. This is the point where Rogue acts like a bridge between AC3, Black Flag, and Unity. From the beginning you work with Achilles (leader of the order in the colonies, the old dude with the limp from AC3) and Adewale (Edward Kenway’s Quartermaster from Black Flag). I won’t spoil much more, but everything makes sense as to why the Assassin’s are non-existent in AC3. Oh, and Haytham Kenway is totally the Grand Master of the Templar Order. Last spoiler I’ll give has to do with Unity. This one is a good one to know because it actually makes playing Unity feel like it’s part of the series instead of just some crappy off-shoot. Shay is the one who kills Arno’s father in the beginning of Unity. Shay is the one who sets the French Revolution in motion. After Connor (in AC3) ruins the Templar’s efforts in the colonies, it’s time to focus on Europe. I’m hoping this also segues into Assassin’s Creed Syndicate. My biggest critique of Shay’s story has to be how they presented his discovery of the fact that he’s working with Templars. Both my wife (she watched me play the entire game) and I were like, “Does Shay know he’s working with Templars?” We’ve decided he didn’t know until they revealed themselves, but he probably was smart enough to be suspect. They could have handled this way better. I’m likely in the minority, but I love the “out-of-game” sequences where we are the nameless player roaming around Abstergo Industries/Entertainment. Rogue takes place in the “real world” one year after the events of Black Flag. Roaming around and listening to the dialogue between major “in-game” sequences reveal that the Templars have found a major key to fracturing the Assassin Order — Shay Cormac. His betrayal and how the game’s story goes down (I won’t spoil much) are what cause the Assassin’s in the real-world of Unity to be in the predicament they’re in. It all makes so much sense and really, once again, bridges the stories. Rogue takes place in the early-mid years of the colonies — particularly in the North Atlantic — during the French and Indian War. The setting feels to me like a blending of AC3 and Black Flag. 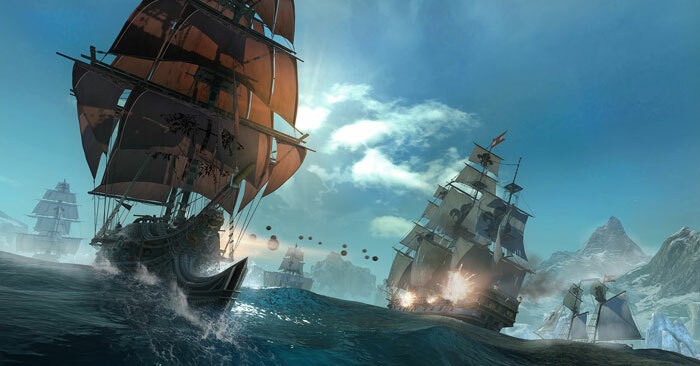 Where AC3 was a lot of little colony towns, and Black Flag was tons of naval gameplay, Rogue is about 50% of each. Most of the side activities, however, will focus around naval gameplay. They did a good job making neither land or sea feel like an afterthought. The setting itself provides a rich world to explore. So much so that I’ll be honest and admit I’m not going to explore or see it all. If you like collecting things and being a min-maxer then good luck and enjoy your 200+ hours of gameplay. I’m happy with my 60 hours of story and moderate side content. Familiar settings like New York will act as the main city. In New York you can wipe out Assassin gangs controlling various districts and generate income on an hourly basis. Fighting Assassins also brings with it a challenge because you never know when one of them will just on top of you from a rooftop or be hiding around a corner waiting to wrist-blade your face. I loved the change of pace playing as a Templar. Rogue introduced me to the Air Rifle weapon which presents a very interesting and even overpowered approach to taking out bad guys. The rifle not only has amazing range for things like Sleep and Berserk Darts, but it also acts as a grenade launcher that can put groups of enemies under the same effects. Melee Combat was particularly refreshing after Unity. 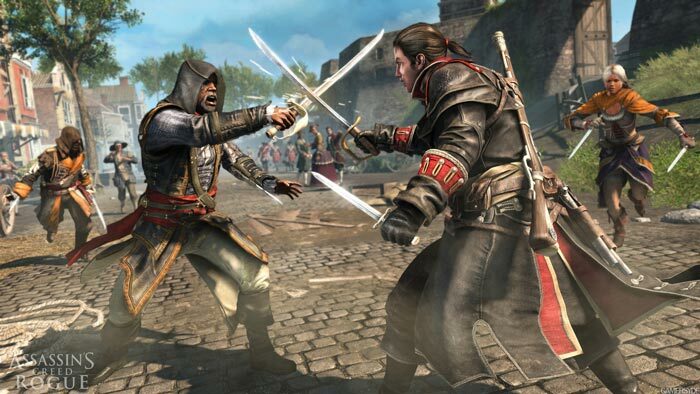 I was critical of the combat system used when playing as Arno, longing for the counter attack and straightforward fighting from Black Flag and previous titles. Thankfully Shay is an awesome fighter, and the combat flows really well almost like the Arkham Batman games. I love Shay’s fighting style! As I mentioned before, there’s a ton of side stuff to do. I wasn’t particularly impressed with the implementation, though. I feel like the special assassin missions, this time all about countering assassins who are likely on the very type of missions we would run as assassins, were just “meh.” Collecting stuff wasn’t necessary at all. Upgrading my weapons really wasn’t necessary at all. Either I’m super awesome and never need to upgrade Shay (not likely) or the game is very forgiving. As a result, some depth was lost in character development. I definitely had to upgrade my ship in order to survive. In fact, the only “side” stuff I did really revolved around earning materials to keep her upgraded and fit to take on bigger ships in story missions. The naval combat was definitely more challenging than BF and took a lot of effort since enemies can now board you, and more ship weapons are involved. One of my favorite things to do in AC games is go for that special unlock. It’s usually a set of armor or something really cool. Such a collectable exists in Rogue, but it is so spread out and not present in the main flow of the game. I decided to skip collecting it as I didn’t need it, and it would have detracted from my enjoyment of the story. Do yourself a favor and play Rogue before you play Unity. I HIGHLY recommend Rogue to all AC fans, and truly wish Ubisoft would have given this game WAY more press. I’m hoping beyond hope that Syndicate follows in Rogue’s footsteps and doesn’t continue down the path laid out by Unity. I need to go back to Black Flag and finish it, I want to see how the story ends. That’s my main issue with AC games, I never finish them. Either I get distracted by all the option objectives, lose focus and quit or get bored by the repetitive nature of the game, quit and never come back. It’s a shame though as the overall narrative of the series is generally good.